AIDS Walk SF and Happy Tea Hour | Club Dine In! Posted on July 15, 2010 by Club Dine In! 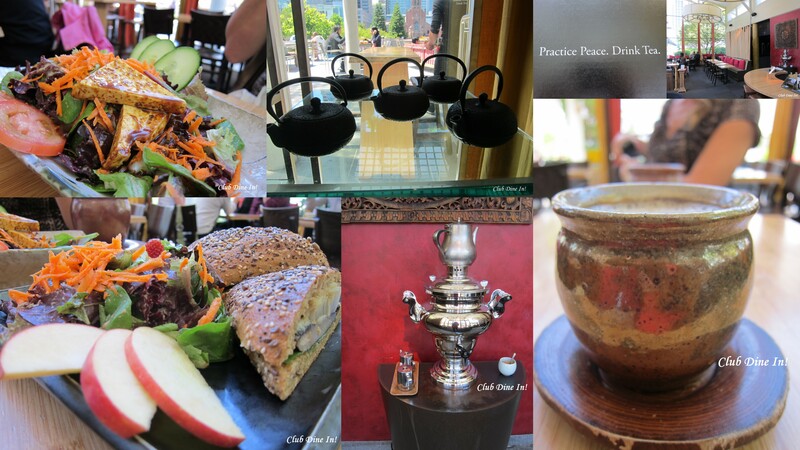 Enjoy a sampling of teas at the tea bar and some sweet and savory snacks. Meet cool people, learn about tea, get uplifted, have a blast. $10 includes all the samples you can drink and delicious snacks like Samovar’s squash dumplings, halloumi veggie kebabs, and tea-infused cookies. Better than any Groupon deal! Please help spread the word about this unique event and forward this invitation to other like-minded folks interested in supporting the healthier social life in San Francisco. 50% off portrait package with PlusMediaDesign.com ($175) includes 10-12 professionally touched up classic portraits of yourself and/or family. Please RSVP and invite your friends. Join SDSAA and Club Dine In! in the fight against AIDS by walking and fundraising. AIDS Walk San Francisco does not require walkers to raise a minimum amount of money. The money raised by AIDS Walk San Francisco supports the services provided by the San Francisco AIDS Foundation (SFAF), in addition to other benefiting organizations representing the entire spectrum of HIV/AIDS services. AIDS Walk San Francisco is a powerful and inspiring day in Golden Gate Park. On July 18, 2010, we will honor those who continue to fight, remember loved ones lost, and work to realize a future without AIDS. We recommend that walkers show up at 9am to sign-in, turn in donations, and pick up fundraising awards. The walk itself starts at 10:30am and takes around 2 hours to complete , the Walk is 10 kilometers (6.2 miles). At 12:30pm, there will be a big concert in the park and announce the fundraising total for AIDS Walk 2010. The concert will finish around 2:30pm and is followed by the closing ceremony at 3:00pm, where we announce the total money raised for AIDS Walk 2010. Donate or Join Team SDSAA Bay Area for the AIDS Walk in San Francisco on Sunday, July 18, 2010. No minimum amount necessary. Thanks!! !